232 pages | 165 B/W Illus. 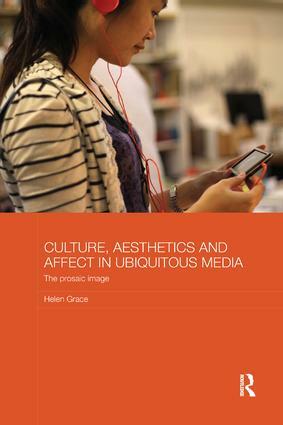 This book argues that ubiquitous media and user-created content establish a new perception of the world that can be called ‘particulate vision’, involvinga different relation to reality that better represents the atomization of contemporary experience especially apparent in social media. Drawing on extensive original research including detailed ethnographic investigation of camera phone practices in Hong Kong, as well as visual analysis identifying the patterns, regularities and genres of such work, it shows how new distributed forms of creativity and subjectivity now work to shift our perceptions of the everyday. The book analyses the specific features of these new developments – the components of what can be called a ‘general aesthesia’ – and it focuses on the originality and innovation of amateur practices, developing a model for making sense of the huge proliferation of images in contemporary culture, discovering rhythms and tempo in this work and showing why it matters. Helen Grace is Visiting Professor, National Central University, Chung-Li, Taiwan, an Associate in the Department of Gender and Cultural Studies and Research Affiliate, Sydney College of the Arts, University of Sydney, and an award winning filmmaker and new media producer.